Easter Weekend and weekends with 100% chances of rain are notoriously not known for the best turn outs. Over 180 Racers turned out for the Inaugural Weekend of the 2016 DRR Ultimate Series presented by American Race Cars and we would like to sincerely thank those who spent the weekend with us. Thursday's BRODIX $25,000 race was postponed to the July event and will be open to all racers in attendance. 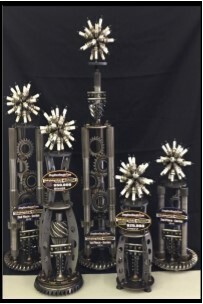 JULY's event will begin Wednesday June 29th with the Champs Performance Warm-Up, followed by a BRODIX $25K on Thursday June 30th / another BRODIX $25K on Friday July 1st / the Oakley Performance $50K on Saturday the 2nd and finishing with Sunday's Yukon Gear $25k. Paul received from Champ's Performance a $1,200 FTI Performance Torque converter for his winning run Wednesday during the FREE Run for the Torque Converter at the Warm-Up. 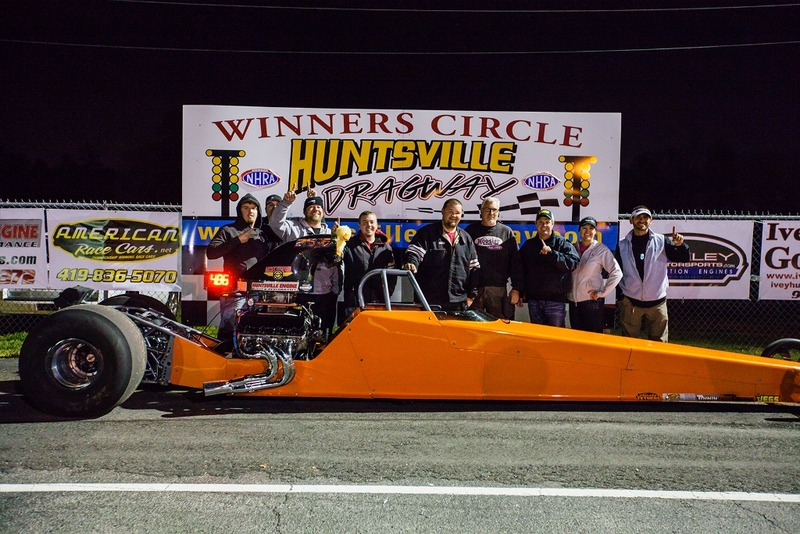 Friday kicked off with the Yukon Gear and Axle "FREE" Run for the Center Section where Jason Rich from Cookeville, Tennessee used a dead on .0001 run in his 4.2x dragster to secure the complete aluminum center section from Yukon. 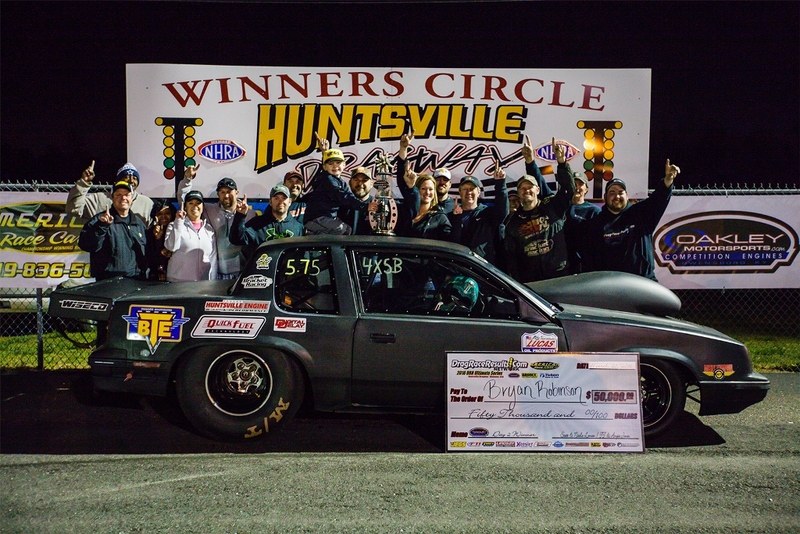 Bryan Robinson from Iuka, Mississippi was the inaugural winner of the 2016 DRR Ultimate Series with his Oakley Performance $50,000 win over Brian Folk on Friday Night. Since Thursday's Brodix $25k was postponed due to rain, the $50k event was the first on the schedule. 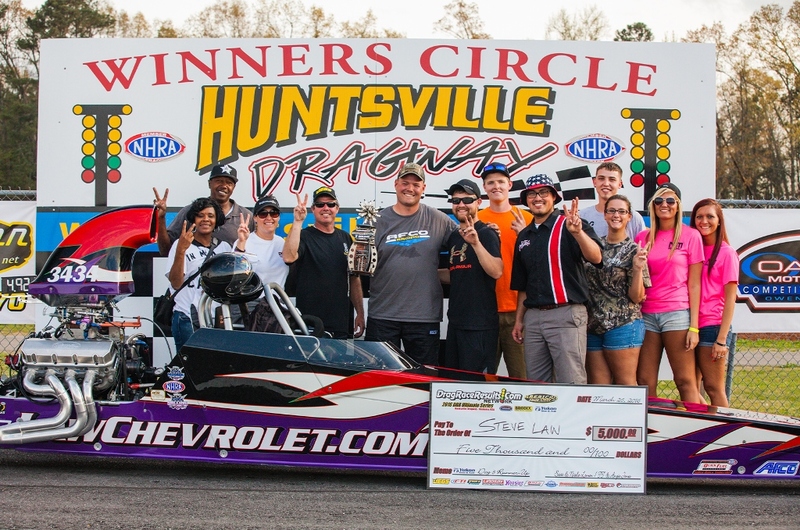 The former NHRA Super Gas world Champion, Regular Big Money Bracket Racer and BTE Employee is no stranger to the Winner Circle and how to finish a big one off. Robinson used a .009 / 5.754 on his 5.75 to put down Folk's dumping .001 4.748 on a 4.72. Another Wold Champion Kevin Brannon made the hall from North Carolina was the lone Semi-Finalist in which Folk won the battle. Timmy Smith from Alabama defeated former Million Dollar Winner Larry Strickland in the Hoosier Tire Duck race. Timmy won a set of Hoosier Tires from Hoosier and Maggart Tire for his 16 Car Duck win. 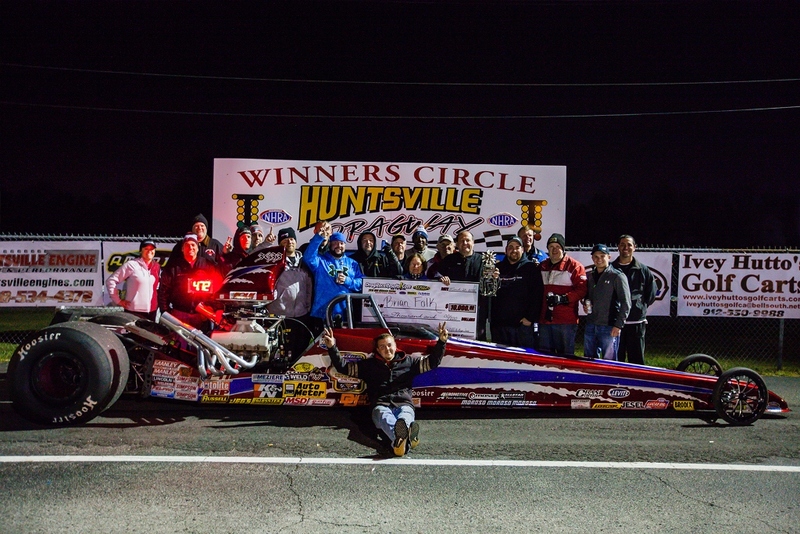 Luke Bogacki from Carterville, Illinois drove his wife Jessica's American Race Cars dragster to the Yukon Gear $25,000 win on Saturday evening defeating Boonville, Indiana's Steve Law. Bogacki took a commanding starting line advantage all the way to the strip for the victory which also propelled him to the points lead. Bogacki pointed out "We came down here to Huntsville to pick up the new engine for Jess's car at Huntsville Engine this week. Made a few dyno pulls and put it in the car. 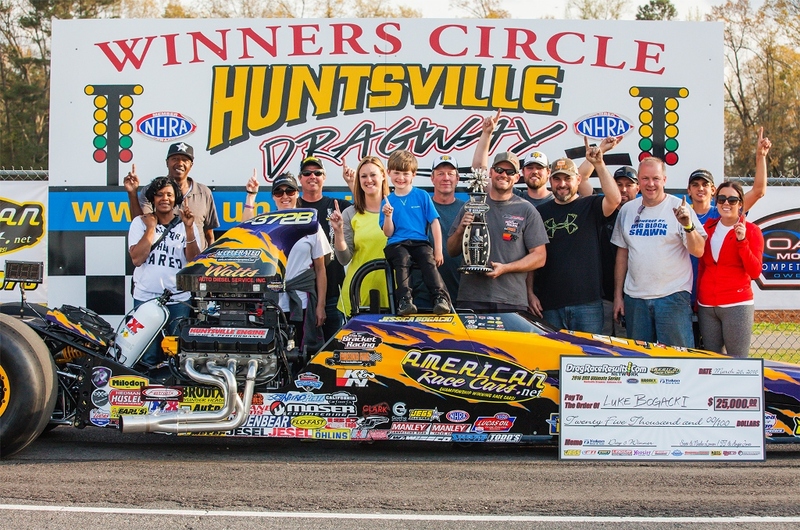 This is the first race on it and it didn't let us down." 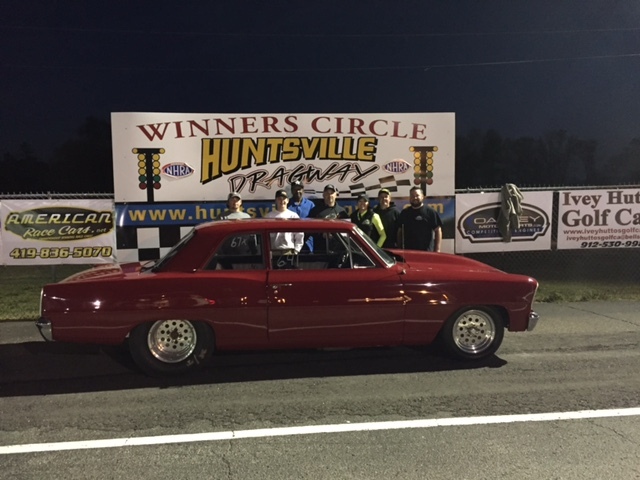 Luke also debuted his new car and is now heading for Vegas to the NHRA National, Divisional and Vegas Spring Fling.